It might sound simple, but it's true - the larger your aviation network, the more opportunities you'll have to go flying. Now, let's be clear: I'm not saying you should use people just for free flight hours, nor should you befriend someone hoping that they'll offer you free flights. But the fact is that many of the best flying memories are made when flying with other aviation friends and colleagues. The more aviation friends you have, the more invitations you'll get to fly. Someone's always heading to a fly-in or airshow or just getting out of town for the weekend, and often these pilots wouldn't mind having company. You might not be able to log many of these flights as pilot in command time, but you can still log it toward your total time. Working at a flight school or another airport business has many advantages. First, you'll probably get a discounted rental rate. Second, you'll get in good with the instructors and will be able to learn a thing or two from them during their off time. And of course, if you are a certified flight instructor or become one, you'll not only get free flights, but you'll earn a paycheck. Hanging around the airport also means that if someone walks in looking for a pilot, you'll be the first to know and the first to be able to offer your pilot services, whether it's a quick ride to the next airport over or a long cross-country flight to drop off passengers on a hunting trip. As a ​commercial pilot, you'll be able to gain a few free hours here and there just by being in the right place at the right time. Working at a flight school also means that you'll be immersed in aviation. You'll be the first to hear about airport news and the first to see cool airplanes flying in and out. If you're friendly, you might even get a ride in a warbird or a jet from time to time. 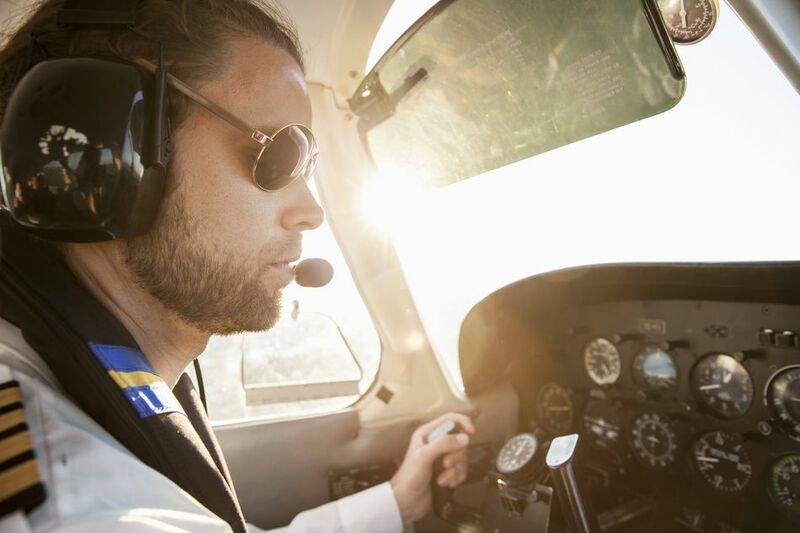 Even as a brand new private pilot, you can make yourself useful and gain experience as a safety pilot for others. You won't get a ton of hours this way, but you'll grab a few. From time to time, everyone needs a safety pilot, so make it known that it's a position you'd be happy to fulfill and people will know who to call when they need to get current! Everyone has a set of useful skills, but smart people know how to make their skills work for them. Those with an entrepreneurial spirit learn early on that to get something from others, it helps if you have something to offer them. If you're a graphic designer, for example, you could offer free or discounted services to the flight school in exchange for free flight time. If you notice that the airplanes are in dire need of cleaning, offer to wash a few for an hour in one of them. Make a deal with an instructor to tutor their kid in exchange an hour of ground instruction. The possibilities are endless when it comes to trading services. You just have to be creative in determining what it is that people want or need. S this one's not for everyone, but considering a new military pilot will be expertly training in multiple aircraft, will obtain thousands of hours during his service, and will get to travel around the world while earning a decent living, it's actually a pretty good deal. For those of you on the fence about becoming a military pilot, it's a really great way to become a pilot for free.